A new month means a new hashtag for our Instagram crafting community. The focus of our hashtag is crafting for pleasure, basically taking some ‘me-time’ to unwind in our busy lives. It doesn’t have to be a finished project, we love seeing work in progress, planning posts or tutorials too. I'm delighted to announce that Maura from The Messy Brunette is joining us as guest co-host in May. 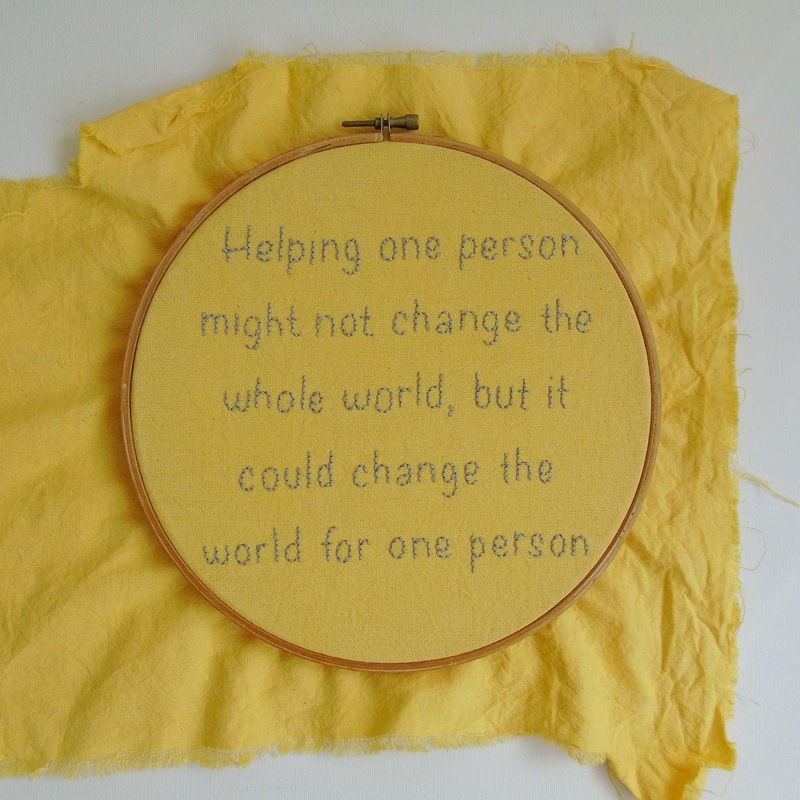 I've long admired Maura's blog and love seeing the creative projects she works on each month. I think there aren't many crafts she can't turn her hand to! 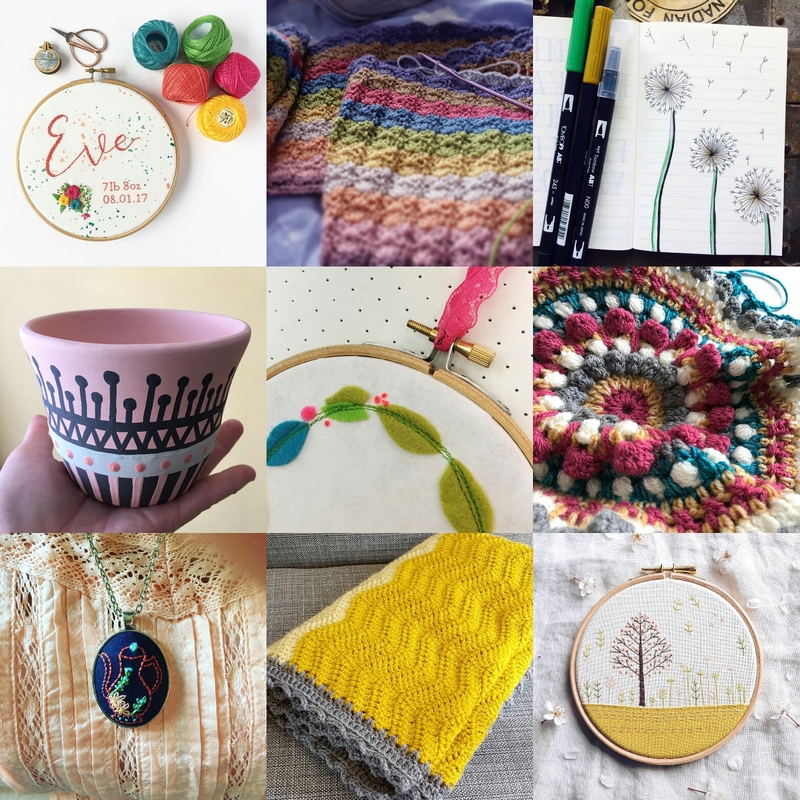 If you love crochet and embroidery, then do head over to her Instagram feed...because you're in for a treat. 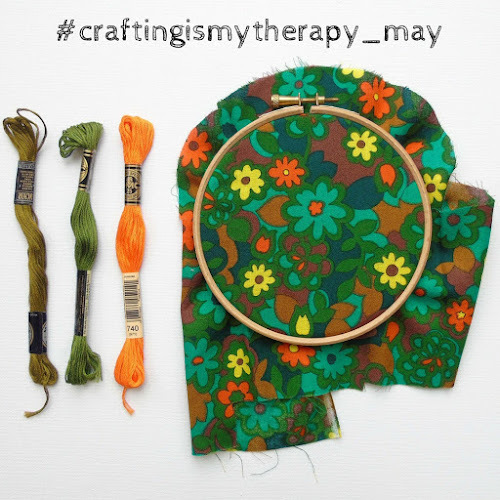 Join Jennifer Jain, Maura and I over on Instagram by tagging your images with #craftingismytherapy_may. What are you making at the moment? In April I completed my 'Helping' embroidery hoop. Even though it has taken me a while to finish, I'm really pleased with the way it has turned out. I'm going to stretch the finished piece onto a canvas to hang on our wall. If you'd like to see more, head over to the Me, You and Magoo Instagram account to see more of my craft projects. – Please share the love and comment on other people who join in with the hashtag. – And finally, if you would like to follow me on Twitter, Pinterest and Instagram, you’re more than welcome! Jennifer Jain’s links are here too: Twitter, Pinterest and Facebook. And here's Maura's: Twitter, Pinterest and Instagram.